There were three types of the Star issued, 1914, 1914 with ‘Mons’ bar, and the 1914-15 Star. 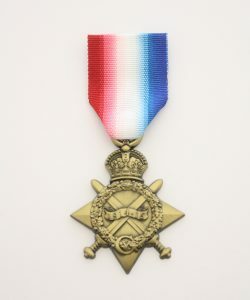 Since the first two types relate almost exclusively to the British Regular Army who saw action before 23rd Nov 1914, it is the 1914-15 Star most identifiable to Australians. 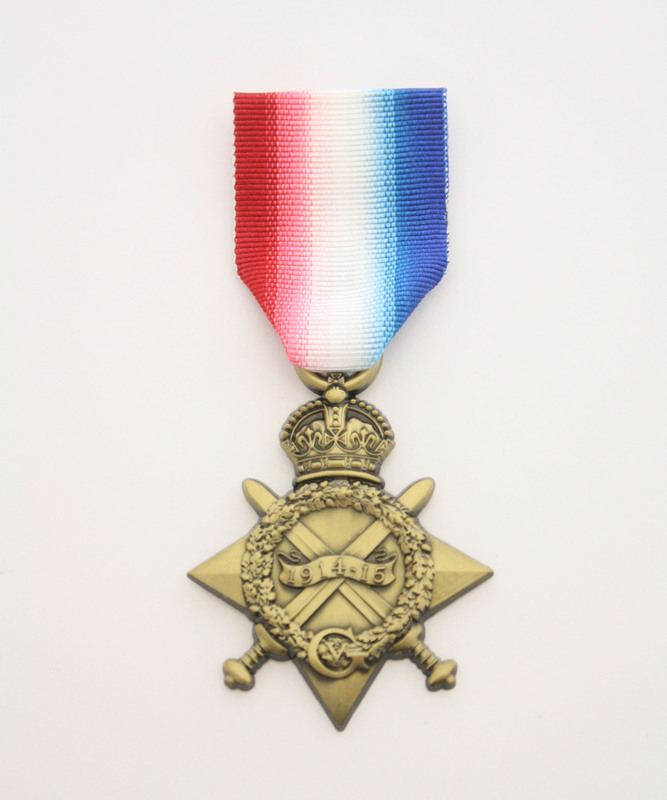 The 1914-15 Star was awarded to all those who saw army service between 5th August 1914 (day after declaration) and 31st December 1915. The first combined Australian effort in war time, saw the naming of this force as the ‘Australian Imperial Forces’ (A.I.F.) by General Bridges in August 1914. The AIF swelled to 338,000 by the wars end. This is noted as the greatest contribution per head of population in history, in wartime. Of this number approximately 82,000 received the 1914-15 star.